That's why the half-back's decision to seek a sprint coach in the off-season was so eye-opening. The 20-year-old has played 30 games in his two seasons at the Brisbane Lions, is one of the best kicks at the Club and undoubtedly a crucial cog in any potential future success. But he needs to improve, and he knows it. Following his debut season in 2017, Witherden let himself go a bit during the off-season and cut a forlorn figure at pre-season training, running extra laps through most of November and December to catch-up on his fitness. After speaking with Backline Coach Murray Davis at the end of last season, Witherden hatched a plan to find a coach that could help him run better and in-turn become a more dangerous player. After one week of holidaying in Bali, he returned to his hometown of Geelong and sought out sprints coach Sarah Cotchett. "I wanted to improve on a few different components of running," Witherden said. "A lot of it being the explosive power running that's required by half-backs to get past (their man) and get handball receives." Working with Cotchett and her sprinters from Witherden's old school, Geelong College, he went twice weekly for five weeks to work on foot position, arm drive and reaction off the ground. It focused both on being efficient and dynamic. After a double hip replacement as a 16-year-old, Witherden has developed some running habits to compensate for the injury, including a noticeable splaying of his feet on impact. "It's something I'll probably have to work on the rest of my career, but it was good to seek her out and try and find an extra one or two percent to help me become a better player," he said. "A lot of it as well was injury prevention after doing my hamstring (in Round 22 against Gold Coast). It had a lot of different benefits. "It's not going to make you kick the ball better but sometimes it's an area of your game you can change from being a one or two out of five to a three or four out of five and can enable you to do so many more things. "That's what I'm trying to do here." The Lions have made no secret it wants a more explosive half-back to add to its mix of good ball users like Luke Hodge, Daniel Rich and Witherden. An exquisite kicker of the ball, Witherden averaged almost 22 touches a game last season – numbers equal to West Coast's premiership captain and All Australian Shannon Hurn – but wants to add the line-breaking, overlap element to his arsenal. Zac Bailey was trialled at half-back late last season and both Cedric Cox and Jacob Allison have had fleeting goes in the defensive 50 but the Lions still haven't found a defender that can hurt opponents with his legs. Following a huge two-year list overhaul the Lions now have depth in most spots. Witherden is as confident as any 21-and-under player at the club but concedes fear for his position has driven his desire for improvement. "The way our group is progressing, you can't afford to stand still anymore and you've got to look at improvements within your own game," he said. "I knew if I didn't go and get better then I wasn't going to be able to play and I wouldn't get a spot in the senior side. "We know as a group we all need to improve three or four percent this year to take that next step and push towards finals footy. "It was touched on by the coaching staff and leadership group at the end of the season that if we just do the program set for us, we'll continue to just be around the mark and mediocre, and we're going to have to invest in our own careers and invest in extra training to go to that next level." Witherden now continues his drills once a week and says he can notice when his form has deteriorated. 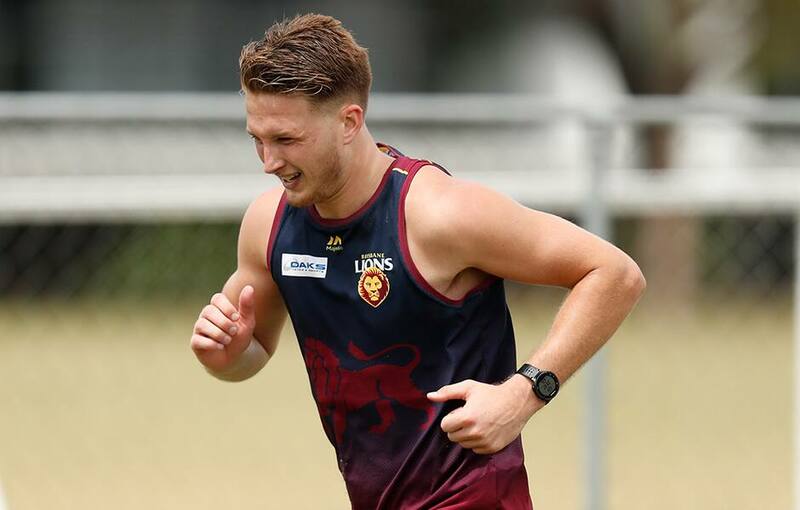 He returned to Brisbane more than three weeks before pre-season to run with a large group of teammates and ensure he was in good shape for day one. "I'm not the greatest runner but I feel I've improved a lot and that's all they ask for…constant improvement," he said. "I've got a long way to go, it might take six months, it might take 12 months, it might take three years, but hopefully it's going to continue to make me a better player. "I've definitely improved as a runner and that's going to help me become a better footballer and hopefully help the team as well."